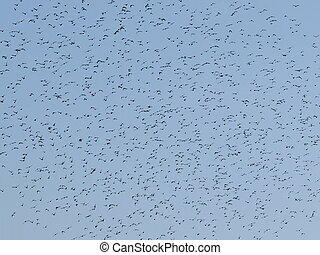 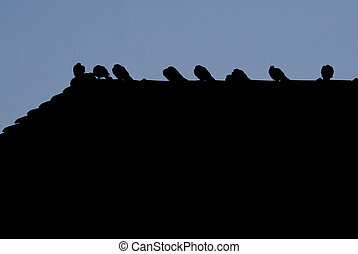 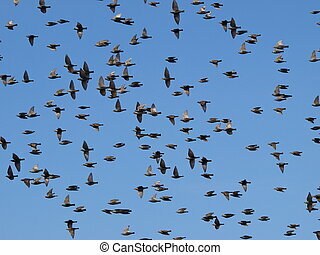 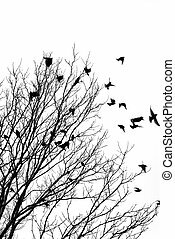 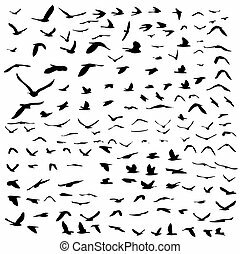 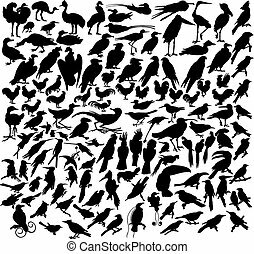 Flock of birds silhouette. 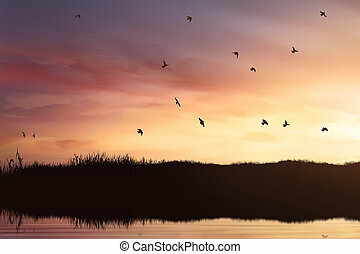 Silhouette of flock of birds flying in sunset light. 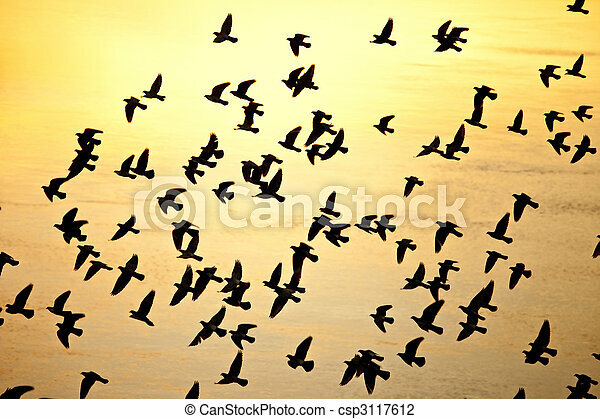 silhouette of flock of birds flying in sunset light. 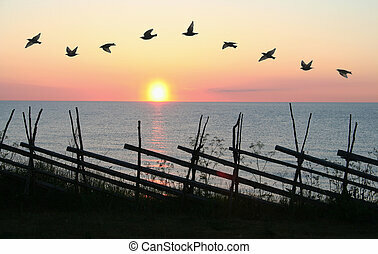 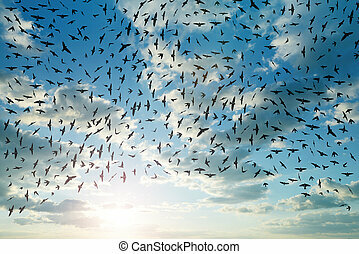 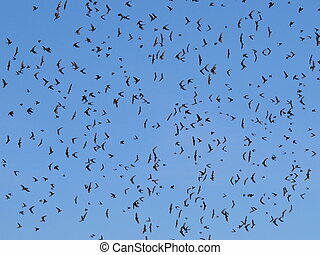 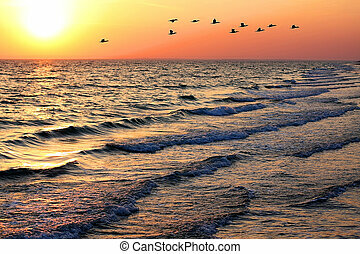 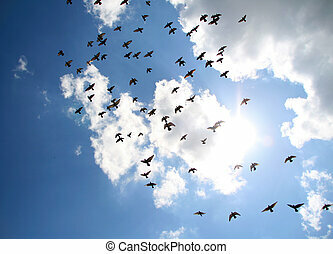 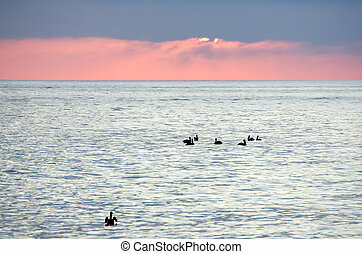 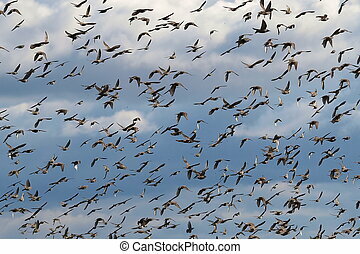 Group of birds flying in formation in front of sunset. 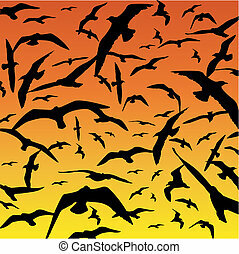 Silhouette flock of birds flying in the sunset.